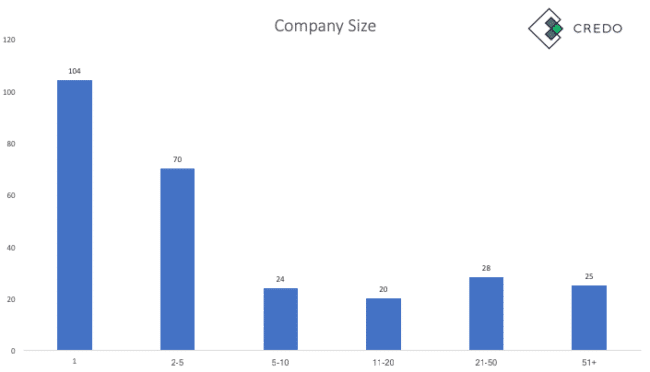 The demographics of the firms who responded to the survey are important to cover so that one can understand how pricing differs based on location and size of company. 62% of respondents were agencies and 38% were solo practitioners (“consultants”). 55.72% are US-based, and the top 6 locations comprise 84.5% of all respondents. This study is very US-focused with a secondary on UK and Europe. 79.7% of all respondents have 5+ years of digital marketing experience. 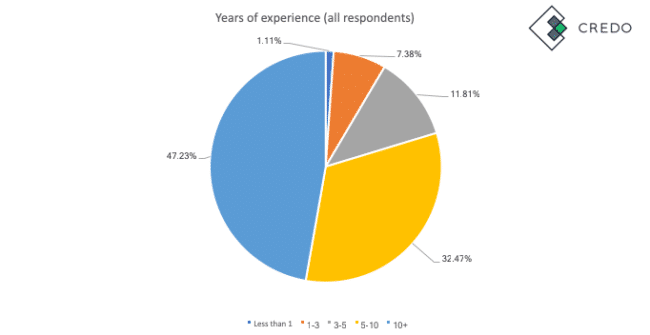 43.7% of agency respondents have 10+ years of experience, and 76.05% of agency respondents have 5+. 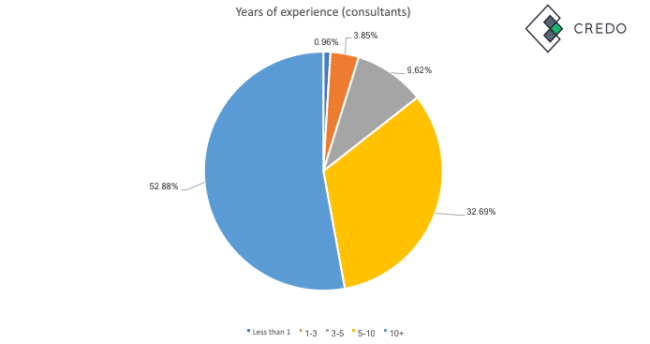 52.88% of consultant responses have 10+ years of experience, and 85.58% have 5+ years of experience. It is important to note that other pricing surveys are more focused on freelancers (solo practitioners with fewer years of experience than consultants who focus on “services” for client) across the world. While this is great for a global view, it is unfair to senior consultants and expert firms in the United States and other countries with a higher cost of living. 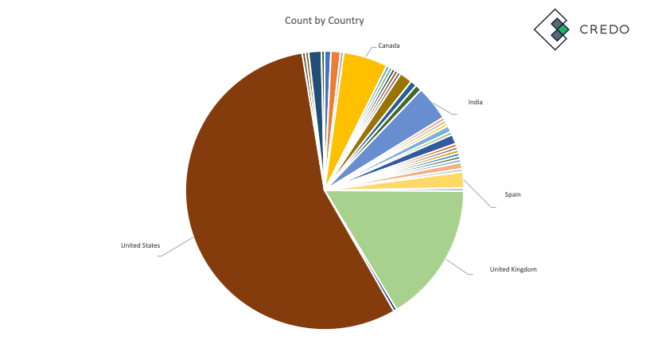 Thus, our survey is more focused on these countries. As one can see, 38.38% of total respondents are solo practitioners, which at Credo we call “consultants”. This means that 61.62% of the respondents are 2+ people, which at Credo we call “agencies”. As one can see, 55.27% of respondents are US-only based. When we expand the locations to the top 6 locations, we see that 84.5% of respondents are in just those 6 locations (including the generic “Europe” entry). Thus, the data in this survey should be viewed as “rates for US and European countries” primarily with a heavy emphasis on the United States. Another important area to discover is how many years the agencies or consultants who responded have worked in digital marketing. The answers to this question we asked are a bit nebulous as some have told me that they put “the number of years they’ve been in business” while others answered it as “the cumulative numbers of years of experience between everyone at the company”. That said, these numbers still are important to see and the vast majority answered it as either “number of years in business” when at an agency and “number of years working in digital marketing” as a consultant. Thus, we have divided up the data by both the aggregate data and then also by size of company (agency or consultant).